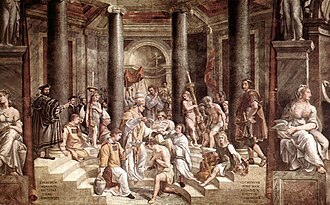 In the late Roman Empire and early Byzantine Empire, an exarch was a governor of a particular territory. 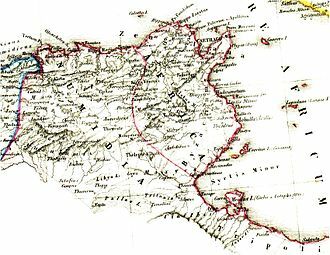 From the end of 3rd century or early 4th, every Roman diocese was governed by vicarius who was titled "exarch" in eastern parts of the Empire where the Greek language and the use of Greek terminology dominated. 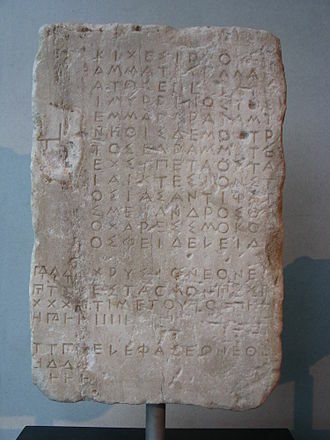 even though Latin was the language of the imperial administration from the provincial level up until the 440s (Greek translations were sent out with the official Latin text). 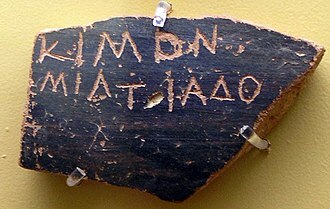 In Greek texts the Latin title is spelled 'Bicarios.' The office of exarch as a governor with extended political and military authority was later created in Byzantine Empire, with jurisdiction over a particular territory, usually a frontier region at some distance from the capital Constantinople. In the Eastern Christian Churches (Eastern Orthodox, Oriental Orthodox and Eastern Catholic), the term exarch has three distinct uses: metropolitan who holds the office of exarch is the deputy of a patriarch and holds authority over bishops of the designated ecclesiastical region (thus, a position between that of patriarch and regular metropolitan); or, an auxiliary or titular bishop appointed to be exarch over a group of the faithful not yet large enough or organized enough to be constituted an eparchy or diocese (thus the equivalent of a vicar apostolic); and, a priest or deacon who is appointed by a bishop as his executive representative in various fields of diocesan administration (in the Byzantine Empire, executive exarchs were usually collecting diocesan revenues for local bishops). 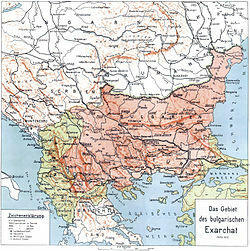 The Council of Chalcedon (451), which gave special authority to the see of Constantinople as being "the residence of the emperor and the Senate," in its canons spoke of diocesan "exarchs", placing all metropolitans in dioceses of Asia, Thrace an Pontus (including metropolitans-exarchs of Ephesus, Heraclea and Caesarea) under the jurisdiction of the Archbishop of Constantinople. 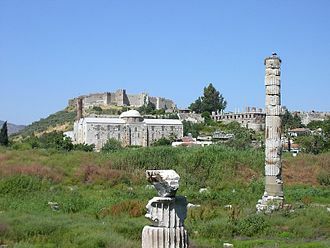 Metropolitans-exarchs of Ephesus tried to resist the supreme jurisdiction of Constantinople, but eventually failed since imperial government supported the creation of a centralized Patriarchate. In modern ecclesiastical practice of the Eastern Orthodox Church, the title of exarch was often used to designate the highest hierarchical office under the rank of patriarch. When Russian Patriarch Adrian of Moscow died in 1700, Emperor Peter the Great abolished the patriarchal office and appointed Metropolitan Stefan Yavorsky as "exarch" and head of the governing council of the Russian Orthodox Church. After imperial Russia annexed Georgia (eastern part in 1801, and western part in 1810), the ancient Georgian Orthodox Church (autocephalous since 750, whose head was since 1008 styled Catholicos-Patriarchs) was reorganized into Georgian Exarchate, and the newly appointed Exarch of Georgia (since 1817 always an ethnic Russian) sat in the Russian Holy Synod at St. Petersburg. Since the entire region of Caucasus fell under the Russian rule, jurisdiction of Georgian Exarchate was expanded, encompassing territories of modern-day Georgia, Armenia and Azerbaijan. On 7 April 1917, the Georgian Patriarchate was restored for the Archbishops of Mtsheta and Tbilisi, with the style Catholicos-Patriarch of All Georgia, and the title Exarch of Georgia was extinguished, but only for the Georgian part of the Exarchate. The Russian Orthodox Church and its exarch Platon (Rozhdestvensky) kept their jurisdiction over non-Georgian parts of the Caucasian region, and for those territories Caucasian Exarchate of the Russian Orthodox Church was created in the summer of 1917, with metropolitan Platon as Exarch of Caucasus. In the spring of 1918, he was succeeded by metropolitan Cyril (Smirnov) as new Exarch of Caucasus, but after his transfer to another post in the spring of 1920 no new exarch was appointed. In 1921, eparchies of the Russian Orthodox Church in Ukraine were reorganized as Ukrainian Exarchate of the Russian Orthodox Church, headed by patriarchal exarch with seat in Kiev. The Ukrainian Exarchate existed until 1990 when it was granted a higher degree of ecclesiastical autonomy within the Moscow Patriarchate. In 1989, an autonomous Belarusian Exarchate of the Russian Orthodox Church was formed, with jurisdiction over eparchies in Belarus. 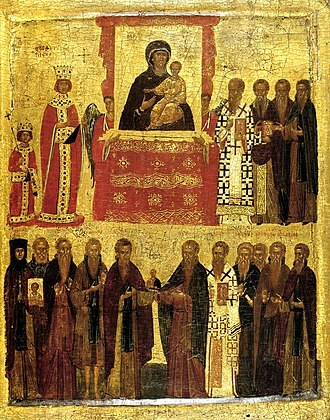 During the 20th century, the pentarchy-number principle, already abandoned in the case of Bulgaria (10th century), Serbia (14th century) and Russia (16th century), gave way to the desire of the now politically independent orthodox nations to see their sovereignty reflected in ecclesiastical autonomy – autocephaly – and the symbolic title to crown it: a 'national' Patriarch. For example, Bulgarian Exarchate was raised to the rank of Patriarchate in 1953. 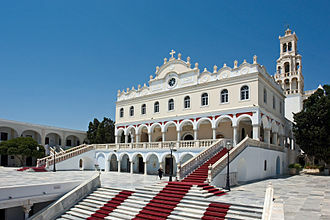 In the Eastern Orthodox Church, the office of exarch can be also given to a special deputy of a Patriarch, with jurisdiction over a community outside the home territory of the Patriarchate. Thus, in the United States there are Exarchs representing, among others, the Serbian, Romanian, Bulgarian and Jerusalem Patriarchs. The style of the Exarchs of the Patriarchate of Jerusalem is "Exarch of the Holy Sepulcher". In particular cases, usually because of illness or some other problem, an exarch of any rank can be assisted by the appointment of a colleague who is called Coadjutor exarch. The position of coadjutor exarch towards his superior exarch is similar to the position of Latin coadjutor bishop towards his superior diocesan bishop. Coadjutor exarchs are appointed with rights of succession. For example, in 1993 titular Bishop Christo Proykov of Briula was appointed Coadjutor to Apostolic Exarch of Sofia, Methodius Stratiev, and when the latter died in 1995 coadjutor exarch succeeded him as the new Apostolic Exarch. ^ a b Meyendorff 1989. 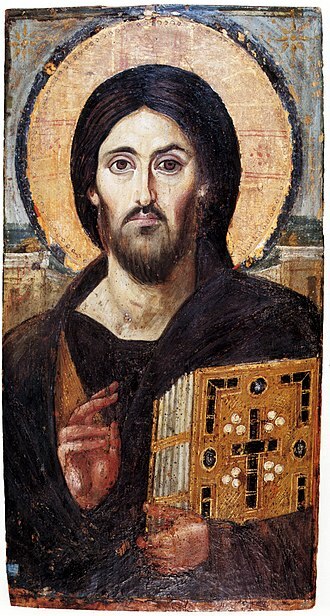 ^ A. Fortescue, Orthodox Eastern Church, 21-25. ^ Fortescue 1908, p. 295, 304-305, 351. ^ "Vladimir Moss, The Orthodox Church in the Twentieth Century". romanitas.ru. ^ "Dioceses - Diocese of Mexico". 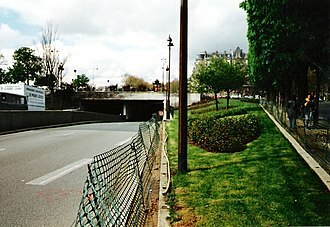 www.oca.org. ^ Cheney, David M. "Serbia (Apostolic Exarchate) [Catholic-Hierarchy]". www.catholic-hierarchy.org. ^ Cheney, David M. "Bishop Christo Proykov [Catholic-Hierarchy]". www.catholic-hierarchy.org. ^ "Catholic Dioceses in the World (Apostolic Exarchates)". www.gcatholic.org. Retrieved 2018-12-28. This article incorporates text from a publication now in the public domain: Adrian Fortescue (1913). "Exarch" . In Herbermann, Charles. Catholic Encyclopedia. New York: Robert Appleton. "Exarch" . Encyclopædia Britannica (11th ed.). 1911. It was created by emperor Maurice in the late 580s and survived until the Muslim conquest of the Maghreb in the late 7th century. 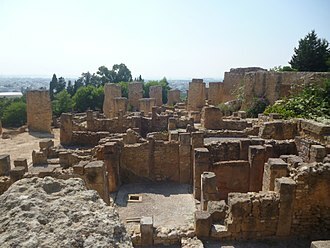 It included the provinces of Africa Proconsularis, Tripolitania, Mauretania Caesariensis and Mauretania Sitifensis, in the 560s, a Roman expedition succeeded in regaining parts of southern Spain, which were administered as the new province of Spania. 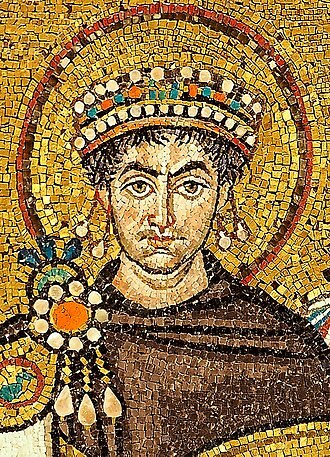 Under Justinian I, the process was reversed for provinces which were judged to be especially vulnerable or in internal disorder. Two exarchates were established, one in Italy, with seat at Ravenna, the first African exarch was the patricius Gennadius. 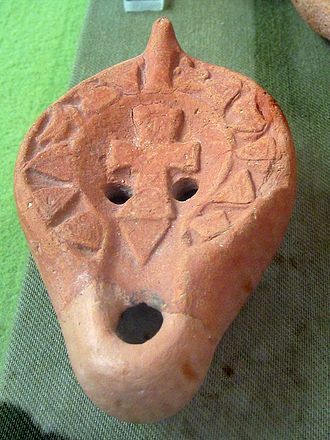 The Visigothic Kingdom was a continuous threat, the African exarch was in possession of Mauretania II, which was little more than a tiny outpost in southern Spain. The conflict continued until the final conquest of the last Spanish strongholds in c.624 by the Visigoths, the Byzantines retained only the fort of Septum, across the Strait of Gibraltar. 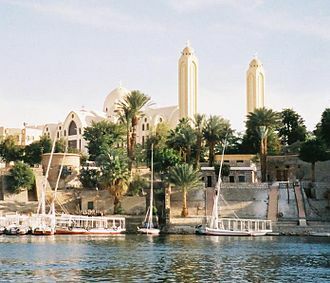 Due to religious and political ambitions, the Exarch Gregory the Patrician declared himself independent of Constantinople in 647, the first Islamic expeditions began with an initiative from Egypt under the emir Amr ibn al-As and his nephew Uqba ibn Nafi. 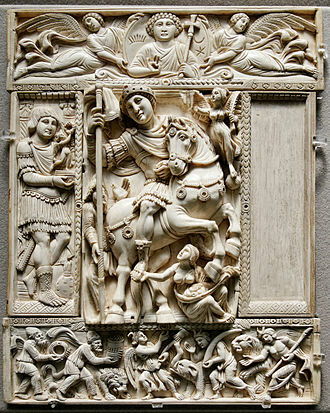 Sensing Roman weakness they conquered Barca, in Cyrenaica, successively on to Tripolitania where they encountered resistance, due to the unrest caused by theological disputes concerning Monothelitism and Monoenergism the Exarchate under Gregory the Patrician distanced itself from the empire in open revolt. 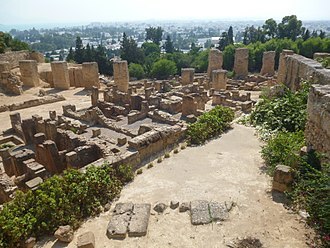 Carthage being flooded with refugees from Egypt and Syria exacerbated religious tensions, afterwards the Exarchate became a semi-client state under a new Exarch called Gennadius. Attempting to maintain tributary status with Constantinople and Damascus strained the resources of the Exarchate, the peak of resistance reached by the Exarchate with assistance from the Berber allies of king Kusaila was the victory over the forces of Uqba ibn Nafi at the Battle of Vescera in 682. This victory caused the Muslim forces to retreat to Egypt, giving the Exarchate a decades respite, the repeated confrontations took their toll on the dwindling and ever-divided resources of the Exarchate. 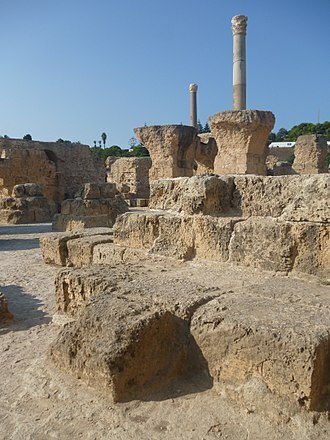 In 698, the Muslim commander Hasan ibn al-Numan and a force of 40,000 men crushed Roman Carthage, many of its defenders were Visigoths sent to defend the Exarchate by their king, who feared Muslim expansion. Heraclius was the Emperor of the Byzantine Empire from 610 to 641. 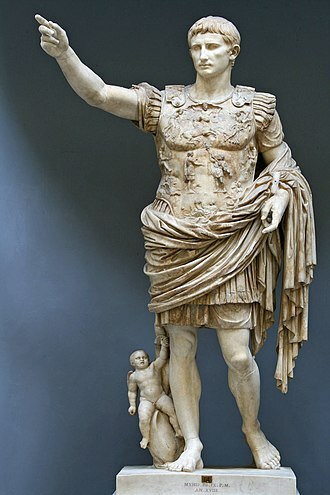 He was responsible for introducing Greek as the Eastern Roman Empires official language and his rise to power began in 608, when he and his father, Heraclius the Elder, the exarch of Africa, led a revolt against the unpopular usurper Phocas. 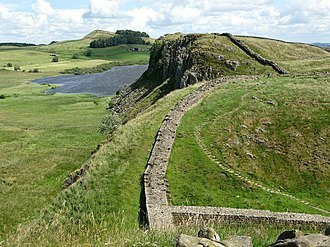 Heracliuss reign was marked by military campaigns. The year Heraclius came to power, the empire was threatened on multiple frontiers, Heraclius immediately took charge of the Byzantine–Sassanid War of 602–628. Soon after, he initiated reforms to rebuild and strengthen the military, Heraclius drove the Persians out of Asia Minor and pushed deep into their territory, defeating them decisively in 627 at the Battle of Nineveh. The Persian king Khosrau II was overthrown and executed by his son Kavadh II and this way peaceful relations were restored to the two deeply strained empires. Heraclius soon experienced a new event, the Muslim conquests, emerging from the Arabian Peninsula, the Muslims quickly conquered the Sassanid empire. In 634 the Muslims marched into Roman Syria, defeating Heracliuss brother Theodore, within a short period of time, the Arabs conquered Mesopotamia and Egypt. Heraclius entered diplomatic relations with the Croats and Serbs in the Balkans and he tried to repair the schism in the Christian church in regard to the Monophysites, by promoting a compromise doctrine called Monothelitism. 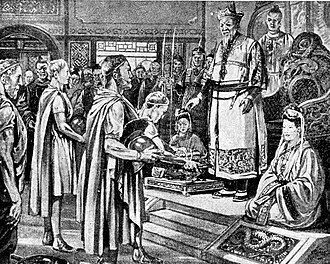 The Church of the East was involved in the process, however, this project of unity was rejected by all sides of the dispute. 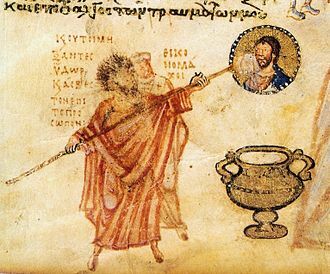 Heraclius was the eldest son of Heraclius the Elder and Epiphania, of an Armenian family from Cappadocia, beyond that, there is little specific information known about his ancestry. 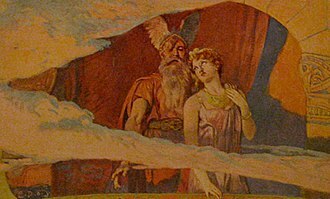 His father was a key general during Emperor Maurices war with Bahrām Chobin, usurper of the Sassanid Empire, after the war, Maurice appointed Heraclius the Elder to the position of Exarch of Africa. In 608, Heraclius the Elder renounced his loyalty to the Emperor Phocas, the rebels issued coins showing both Heraclii dressed as consuls, though neither of them explicitly claimed the imperial title at this time. 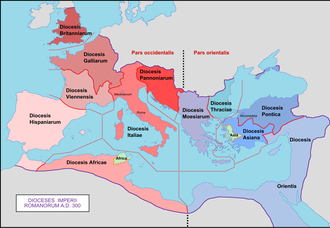 The Diocese of Asia c. 400.